 Five By Five is a free RPG written by Jeff Moore. The second version was released in 2010 and is available for download at his blog Dreams and Dragons. I have to give Michael Wolf at Stargazer’s World credit for bringing this to my attention in one of his posts. What you hold in your hands is a toolkit. It is the foundation for a game that you will not only play … but build yourself. In these pages you will find a means to create characters for almost any setting or genre. Five by Five does not contain exhaustive lists of skills and powers. It doesn’t need them. Its systems are designed so that players can define everything they need to know about their characters in just a few words. The rules provide the basic building blocks for a role-playing game. There is no explicit or assumed setting, no genre, no classes, no stats. The players come up with all these things on their own. By “players,” I mean those sitting behind the game master’s screen as well as those sitting in front of it. So, if the players define all of these things, then what do the rules provide? Well, they provide the two most essential things for an RPG: a system to define the characters’ abilities, and a system to determine the outcomes of the characters’ actions. One of the first things I like to do when learning a new RPG is to create a character. I believe that is a great way to get a handle on the system from a player’s standpoint. Five By Five lists six steps for this process. I’ll try to distill them further here. Come up with a character concept. Choose three Traits that define the character’s strengths, and one Trait that is a weakness. Place them in a best-to-worst order, and assign to them the appropriate values. Then, fill in the details such as the character’s name, history, goals, and other things that make her a character, as opposed to a collection of statistics. There you go – your character is complete. OK, you may need to know that the Traits are ranked, from worst to best, as Weak, Untrained, Novice, Competent, Skilled, Expert, Master, and Legendary. Each rank is assigned a value that increases as the trait increases. A starting character begins with one Trait each ranked as Skilled, Competent, Novice, and Weak. From here, you and the Referee (Game Master or Dungeon Master in other systems) determine starting equipment, which can provide bonuses to damage or healing rolls. Two other traits, Health and Movement, are given default Untrained values. Speaking of Untrained Traits, if a character performs an action for which she does not have an appropriate Trait, she is assumed to be Untrained. This makes any action possible, although more difficult tasks may be impossible for an Untrained character. Now that we have character creation down, how do we determine the success or failure of her actions? Here is where the Five By Five terminology comes in. An character’s success is determined by rolling two d5s. 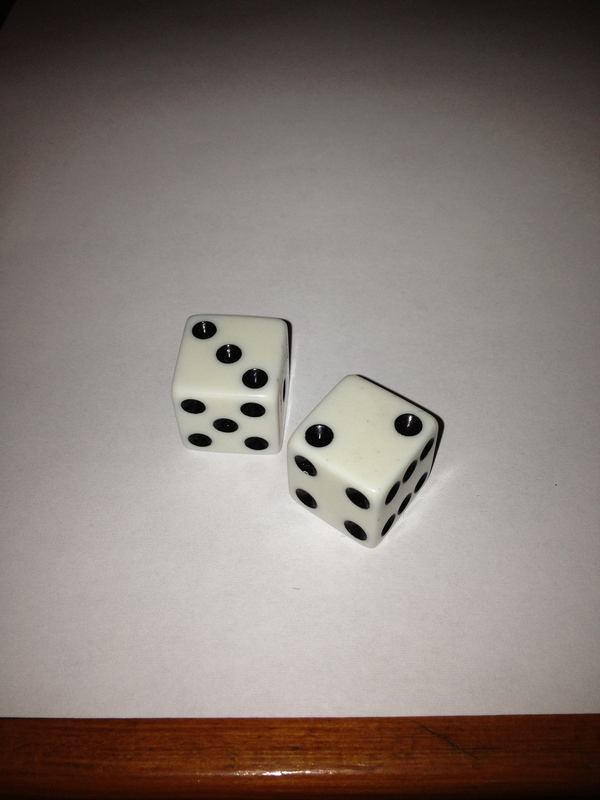 A d5 is a standard d6, but a roll of 6 is counted as 0. So, roll 2d5, and multiply the numbers together. If a 6 is showing, the result is 0. If a 5 and a 3 are showing, the result is 15. Simple, right? This result must be below a certain target number. The target number is determined by the value of the appropriate Trait to the task involved. Let’s say the character is trying to break into a secure computer system. The character just happens to have a Skilled Hacker Trait, which gives her a target number of 6. If the player rolls a 2 and a 4, she fails, and perhaps her attempt is detected. On the other hand, if the player rolled a 1 and a 3, she would succeed, and access to the system is hers. Likewise, if the player rolls a 6 and a 5, she succeeds, due to the “6 counts as 0” rule. That’s it – the entirety of the action resolution mechanic. All actions, whether in combat, or exploration, or pottery are determined this way. There are more specific rules for combat, as one would expect in an RPG. There are also rules for damage, healing, armor, weapons, and different technology levels. Five By Five strives to be a generic system. I admit, I have a soft spot for rules-lite games. Five By Five hits that spot quite well. The character creation is simple enough, yet well-defined, to encourage a player to finish her character quickly, but differentiate it enough to ensure it is unique. The dice mechanic is clever and simple to grasp. On the other hand, I wish there were more than one example character. Two or three more would help demonstrate the system’s flexibility, not only with characters, but genres, settings, or what have you. Mr. Moore provides a list of example Traits that can be helpful to players. Of course, with an RPG “toolkit,” this is just a starting point. Players are encouraged to come up with their own Traits. In this sense, literally any character concept can be realized. Five By Five is an intriguing game. So much so that I intend to propose it to my regular group to try out for a few sessions. As it is a toolkit, I already have several ideas knocking around in my head that I want to write down to use with this system.